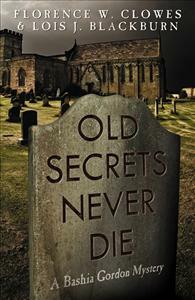 Should secrets be kept forever, allowed to surface, or be shared? Amateur sleuth Bashia Gordon and Trooper Mark Jankowski again collaborate on these questions as bodies surface in Northeastern Connecticut. Amateur sleuth Bashia Gordon, a semi-retired interior decorator, and Trooper Mark Jankowski team up again to investigate when bodies start popping up in Woodstock, in the Quiet Corner of Connecticut. They discover that some secrets are best kept forever, some surface despite all efforts to hide them, still others are destined to be shared with someone. Bashia and Mark share more than their Polish heritage, traveling to sunny Jamaica to explore old haunts and new relationships.